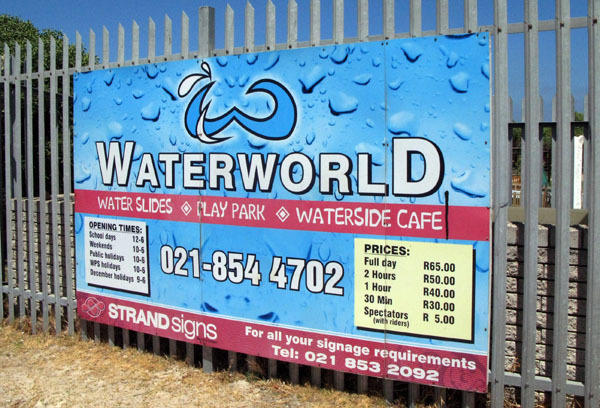 Strand & Gordon’s Bay Caravan Parks. 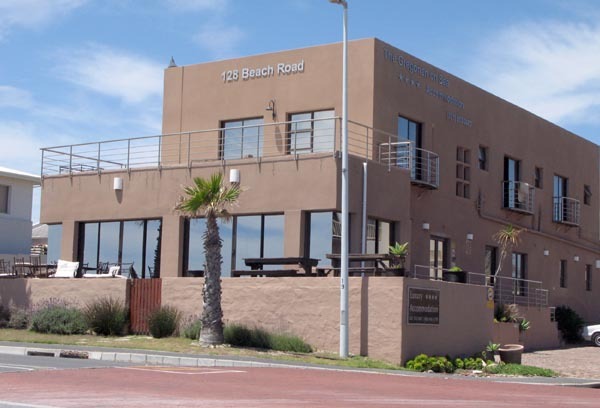 There are 3 caravan parks in the area – Voortrekker Park in the Strand (the one I stayed at) Kay’s Caravan Park which is also in the Strand and Hendon Park Holiday Resort which is in Gordon’s Bay. Please be aware that what I express here are merely my own opinions and others may disagree with what I write and show.To be honest none of the 3 are great but I am glad I chose Voortrekker to spend a few days at while I explored the surrounding area. 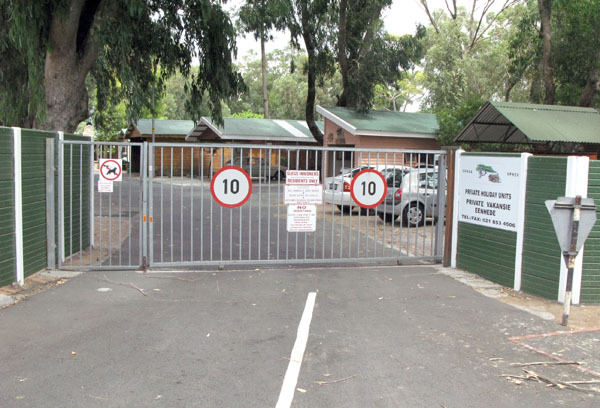 Security entrance to Voortrekker Park. While there was a security guard on duty there still appeared to be a lot of cars that just came into the park, had a drive through and then left. There were also break-ins of some caravans, that looked as though they were being stored there, over the weekend. Just a warning if you are planning to stay at this park. From 4pm on Friday afternoon to Monday morning the office is closed and if you have not booked and pre-payed security will not let you in. 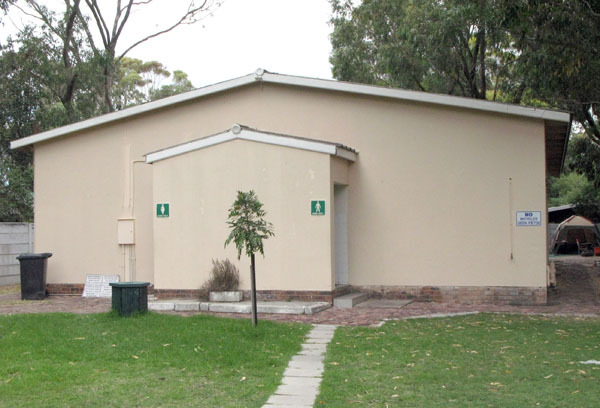 Also you cannot pay directly at the park but must wait for documents which you then take to the Municipality or Pick n’ Pay to pay and take the receipt back to the office. Very strange! 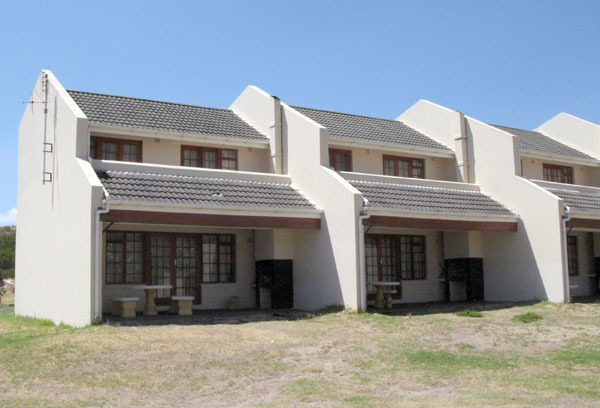 Just to the left as you go in is another gated area which has pretty good looking holiday units. I am not sure if anyone is allowed to live there permanently but it did appear that some were. Some of the rather tatty looking chalets that are available. 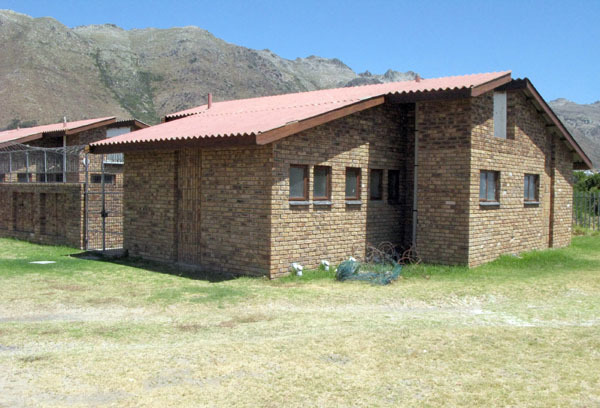 Chalets are available from R600 in high season to R500 out of season for a luxury 6 berth chalet. One of the better grassed sites. My set-up at Voortrekker Park. 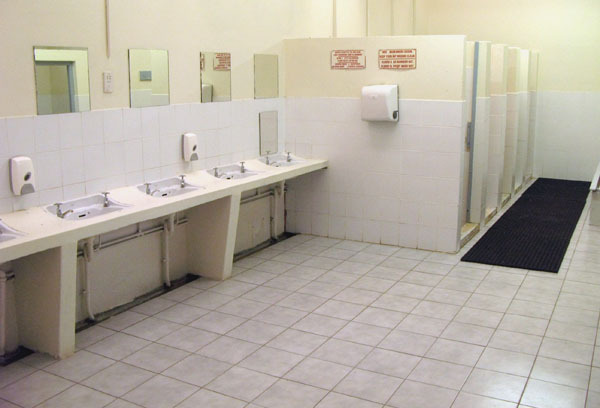 Inside was kept clean and tidy and there was plenty of hot water. 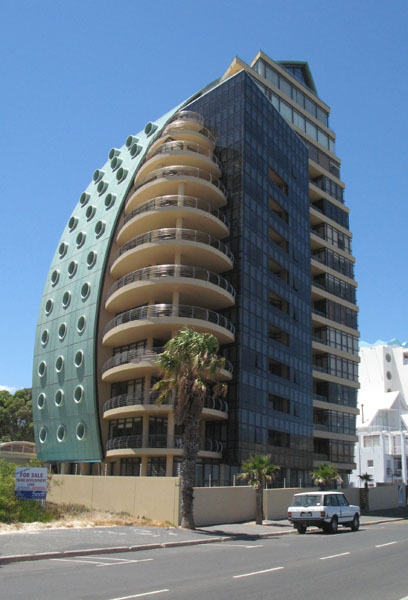 All in all I enjoyed my stay at Voortrekker Park and of the 3 parks I looked at would definitely vote it as my no. 1 of the area. Contact No is +27218504169. 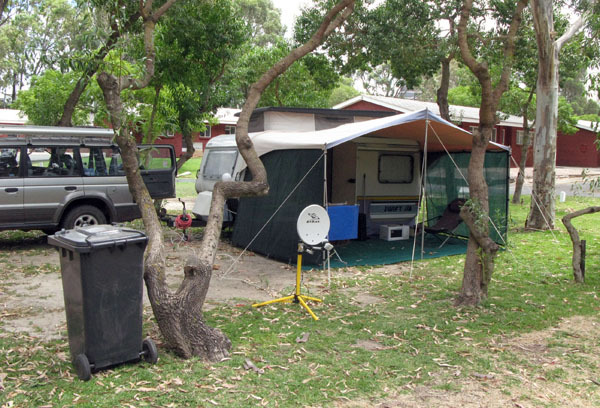 The next park that I went and had a look at was Kay’s Caravan Park (+27218531129) which is also in the the Strand. 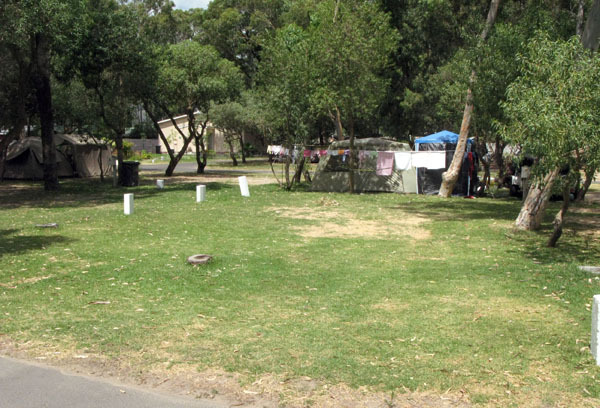 To be honest this is more like a park with mostly permanent residents and only has about 18 stands for casual campers. 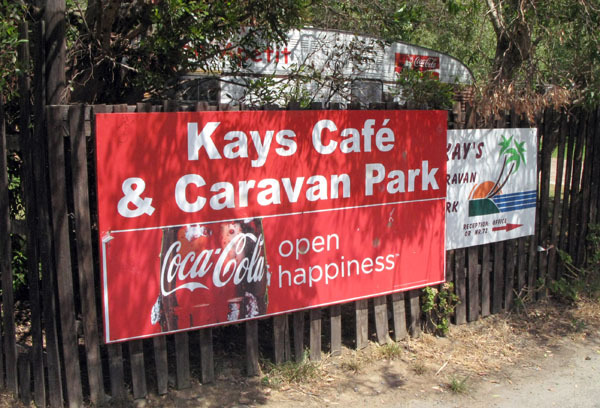 Entrance to Kay’s Caravan Park. 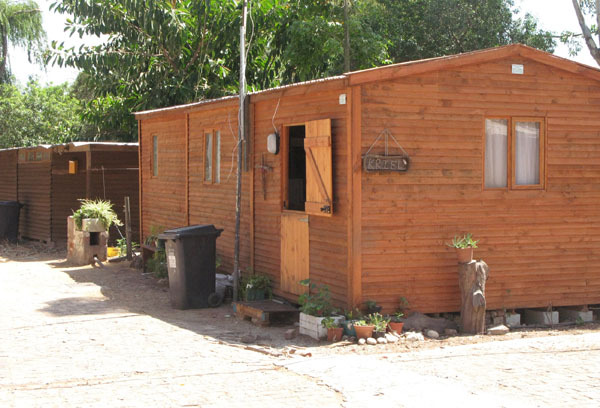 One of the permanent wooden structures in the camp. 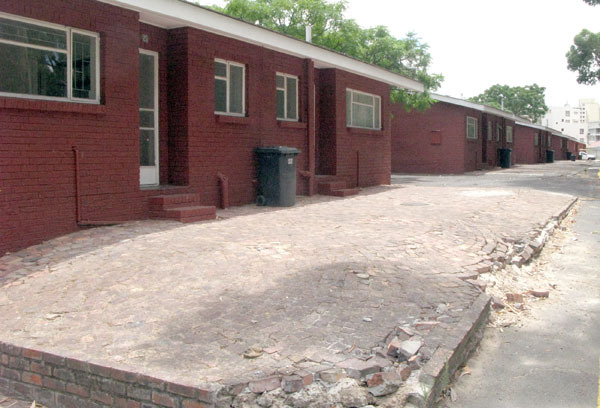 These buildings are really close together and I would hate to see what would happen in the event of a fire. Some of the 18 sites that are available for casual camping. I have seen worse. 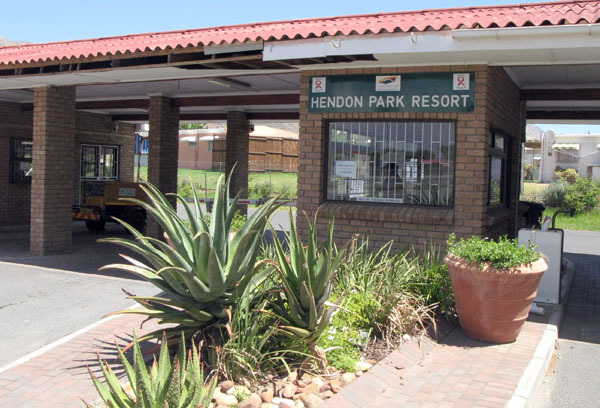 The last park I went to have a look at was Hendon Park in Gordon’s Bay and potentially it should be the best of the three. I found it really strange that while both parks fall under the same municipality they seem to operate on different dates as to when high season starts and finishes. 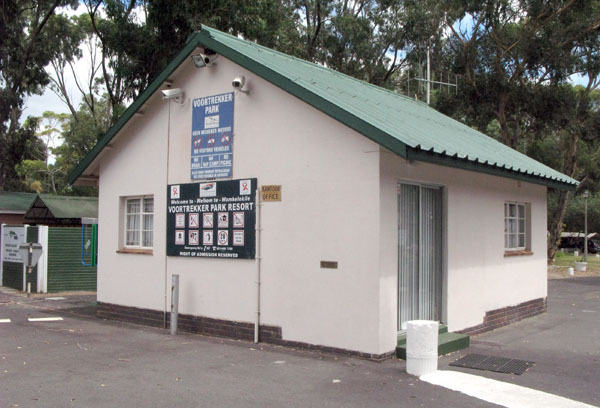 Most places don’t offer discounts to over 60’s during high season so although the basic prices for Voortrekker and Hendon are the same I got a cheaper rate at Voortrekker because they were not charging high season rates. 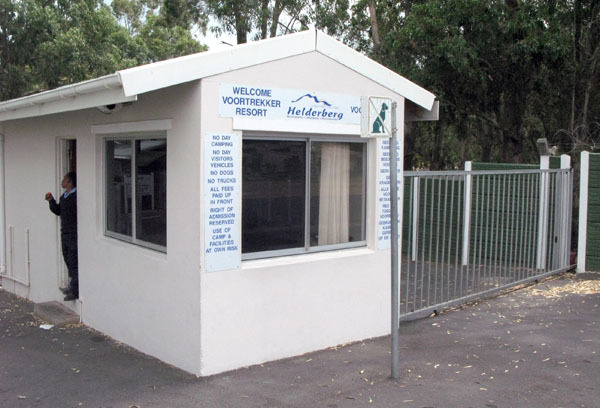 Security entrance to Hendon Park Resort. 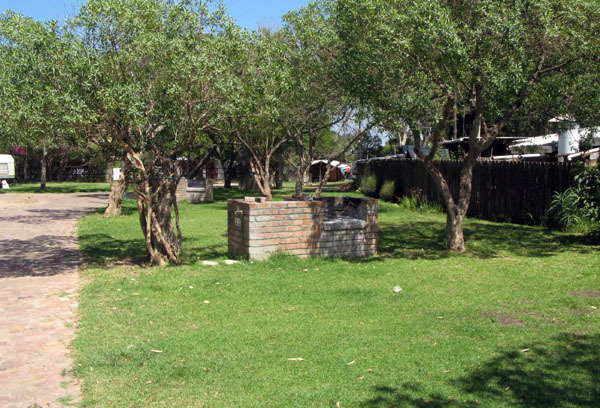 Camp sites which are right next to the beach. 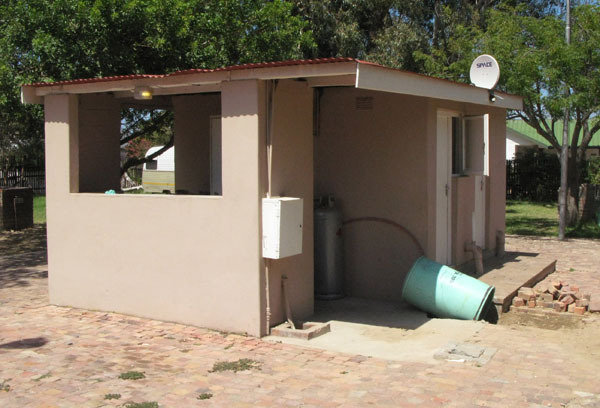 Ablution Block which was locked and barbed-wired so I could not have a look. 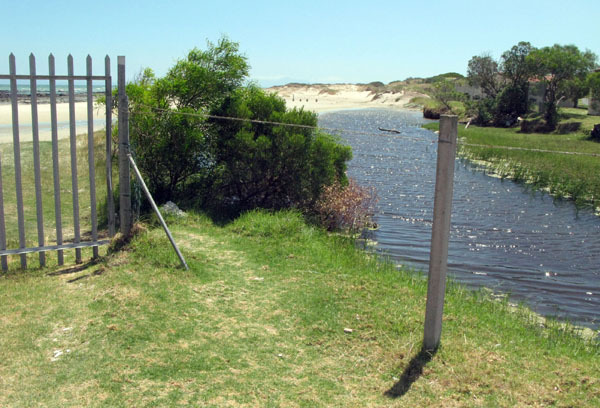 Broken fence next to river and open to the beach so not too sure about the safety aspect as people can just walk in off the beach. I would also worry if I had children with me. 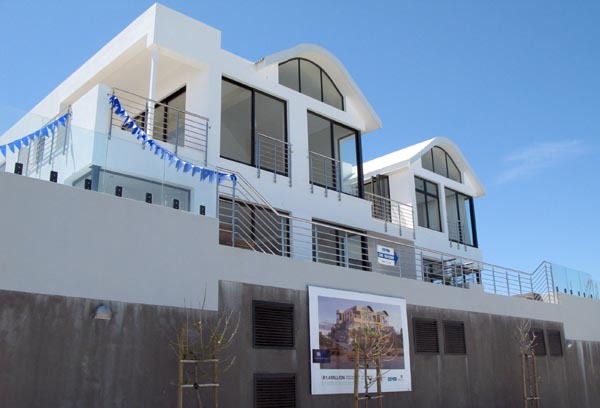 There are some nice looking chalets which range from R850 in peak season to R560 out of season. Something is not quite right here At Voortrekker there were at least 6 or 7 sites being used the whole time I was there but at Hendon Park there was nobody there on the day of my visit and when I drove passed over the weekend there was just 1 lonely looking caravan parked in a lot of empty space. As you will see I have given contact numbers for the parks as I have been getting a lot of e-mails asking me about bookings and prices. Please contact them directly for information. 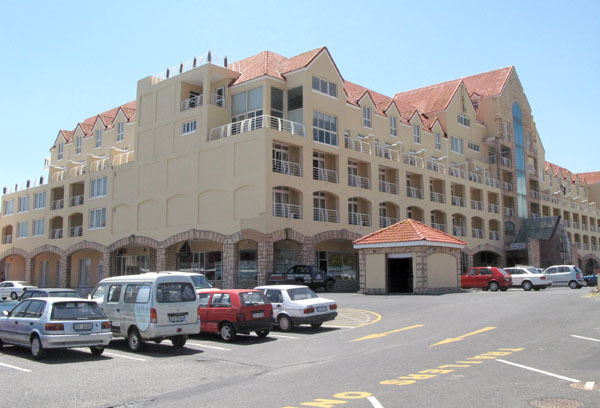 Gordon’s Bay, a picturesque coastal village just a few km’s from the Strand, is set against the steep slopes of the Hottentots Holland Mountains and is one of the 3 towns that form the Helderberg Basin. 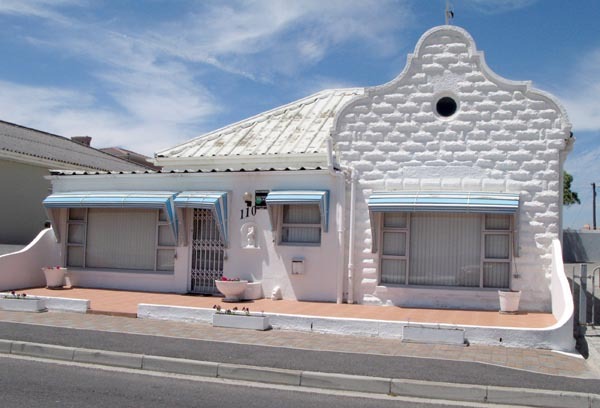 This Mediterranean style sea side village is home to the South African Naval College and only 50 minutes from Cape Town and just off the N2 high way. 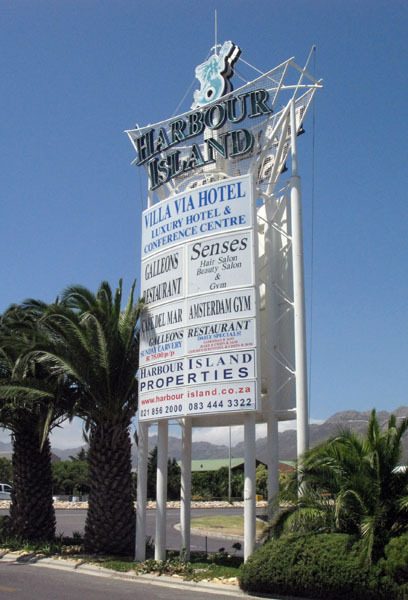 I asked a few of the locals where the Strand stops and Gordon’s Bay begins and all said the start of Gordon’s Bay is at the new harbour or Harbour Island. 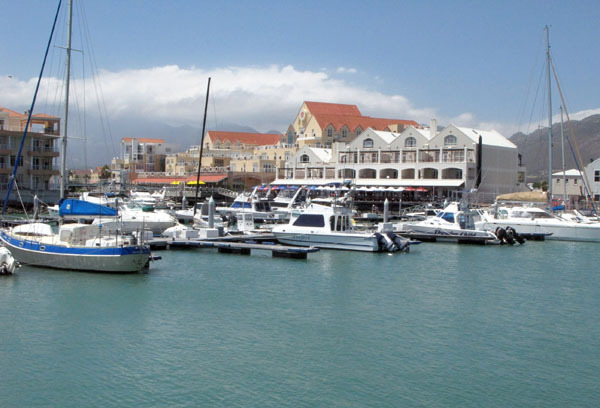 There are lots of shops and restaurants situated in the harbour. 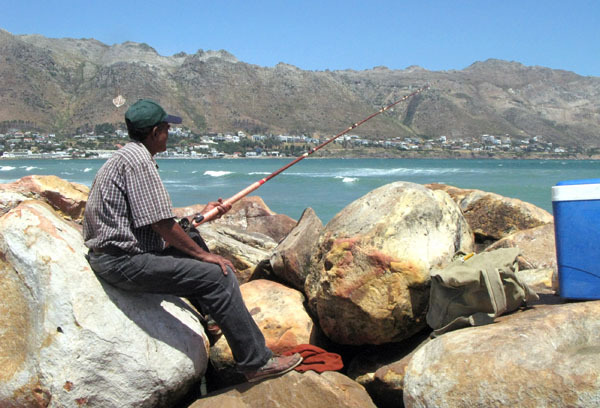 You can also try your luck at fishing off the harbour wall. Pleasure trips on luxury yachts and cruisers are available for charter from both harbours. 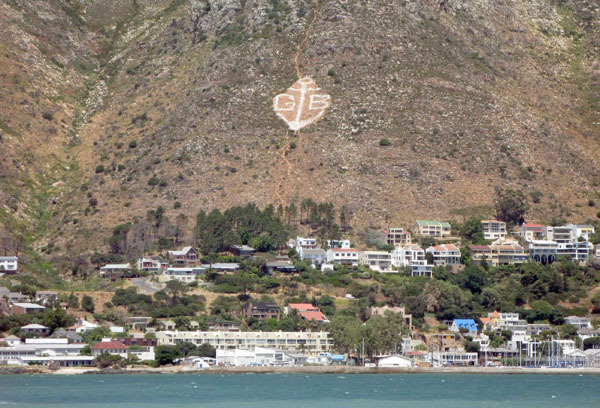 Looking across the bay one can still see the famous ships anchor with GB on the side of the mountain which has been there for many years. 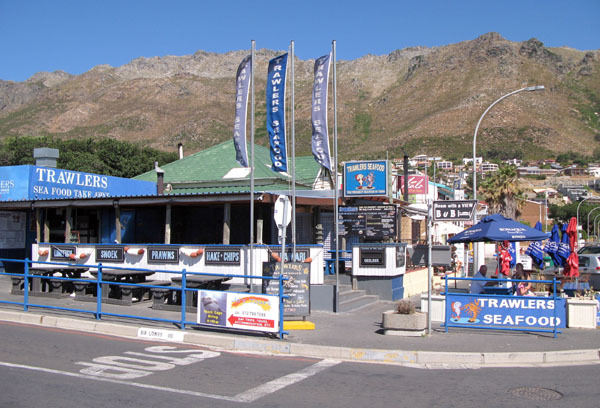 As one drives into the centre of Gordon’s Bay through the narrow streets you will find many street cafes, bars and restaurants and if you are a seafood lover this is the place to be. Trawlers Sea Food Restaurant in the centre of the village. 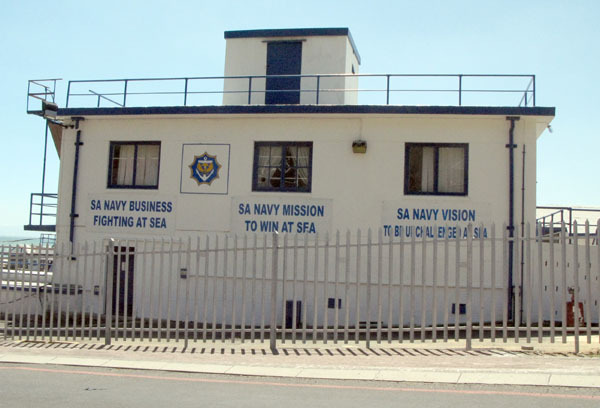 The SA Naval College is situated in the old harbour area. 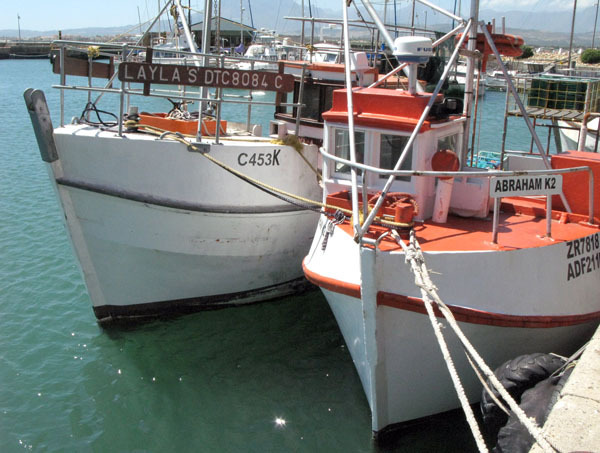 Fishing boats in the old harbour. 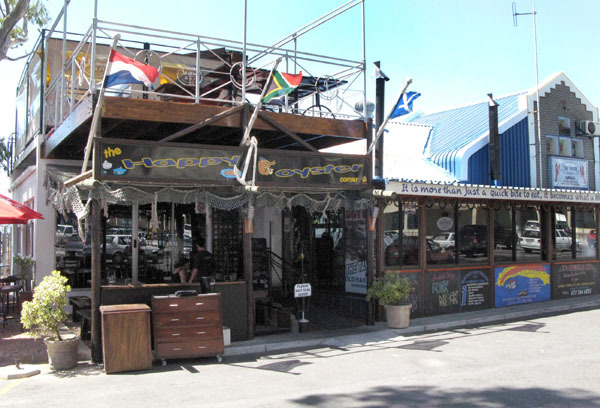 There are some interesting restaurants in the old harbour and this one is called the Happy Oyster. 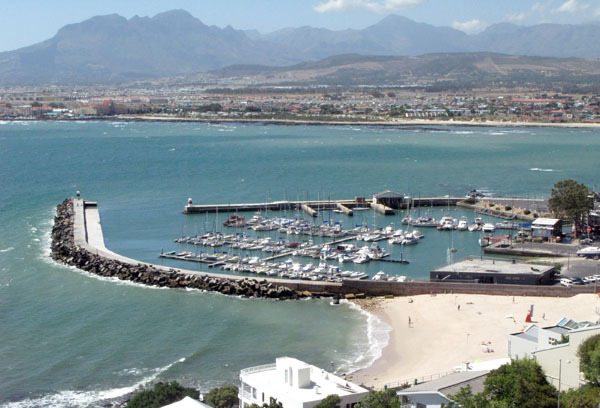 Gordon’s Bay is known for it’s safe bathing with both the Main and Bikini Beaches attracting thousands of happy sun worshippers on weekends during hot summer days. 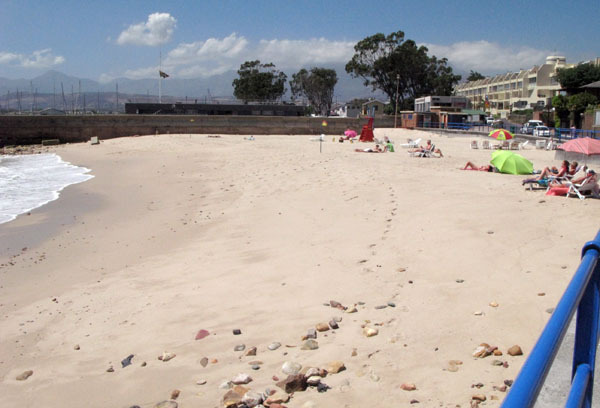 Bikini Beach is a Blue Flag Beach and is situated next to the old harbour. 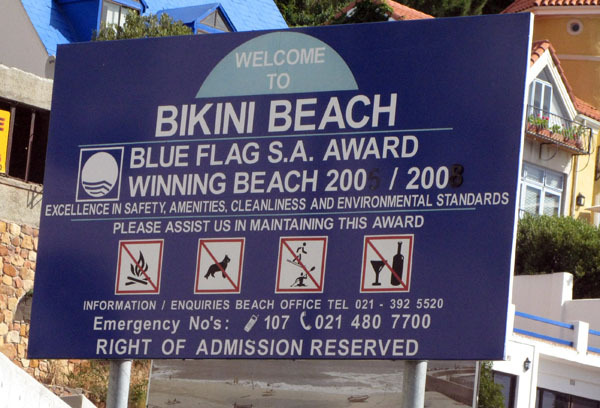 Bikini Beach blue flag status. Bikini Beach. This was taken on a weekday so only a few lucky locals were there. 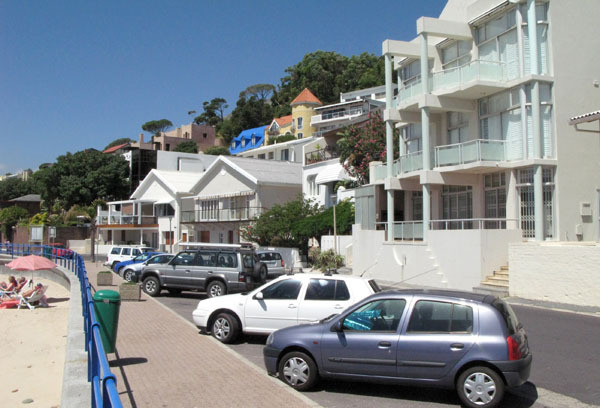 I am sure that early on Gordon’s Bay was more of a holiday town with not many people actually living there. 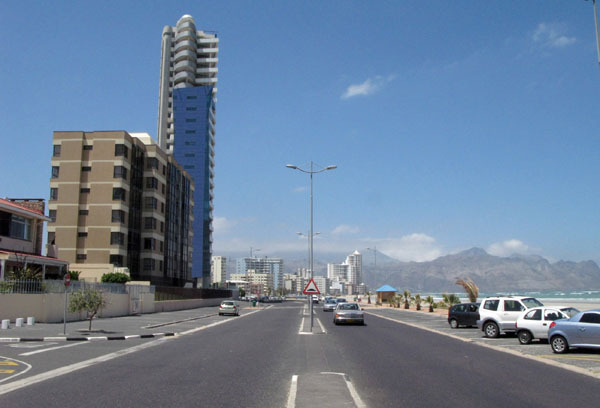 Now days, what with the high way and fast cars many people live here and commute to work in Cape Town. 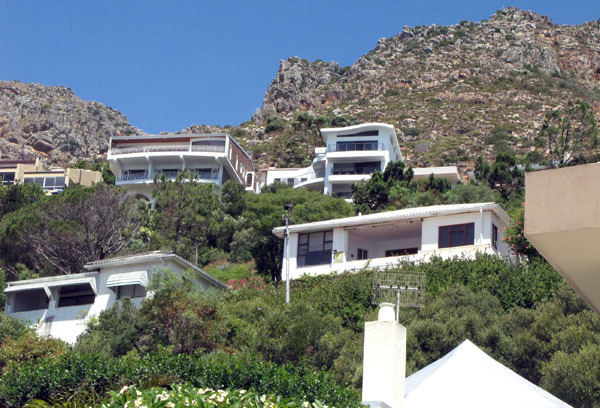 There are some some really amazing houses that have been built on the beach front and on the side of the mountain offering some spectacular views over False Bay looking toward Cape Town. 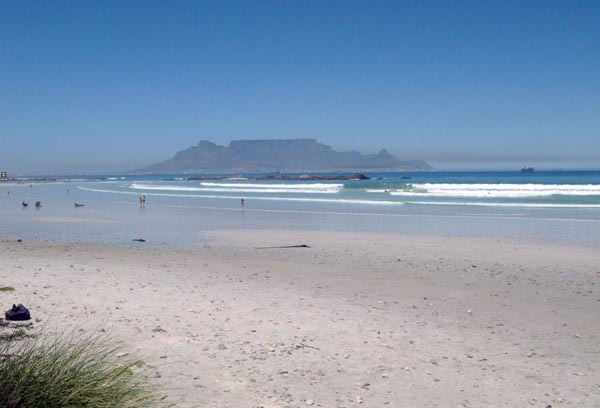 On a clear day Table Mountain and the mountain ranges round Cape Point are clearly visible. 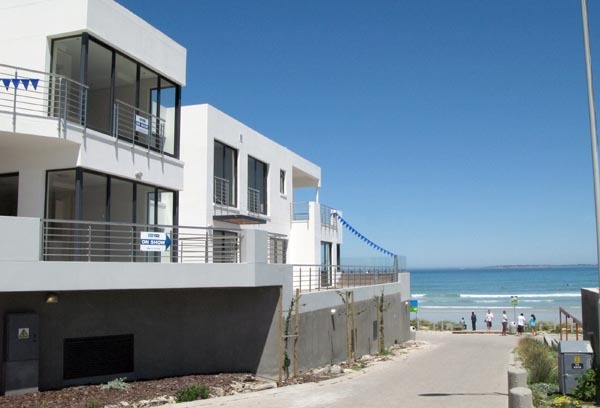 Houses right next to Bikini Beach. 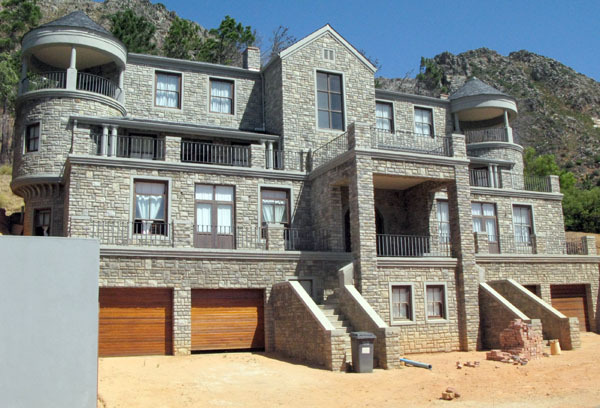 Houses built on the side of the mountain. 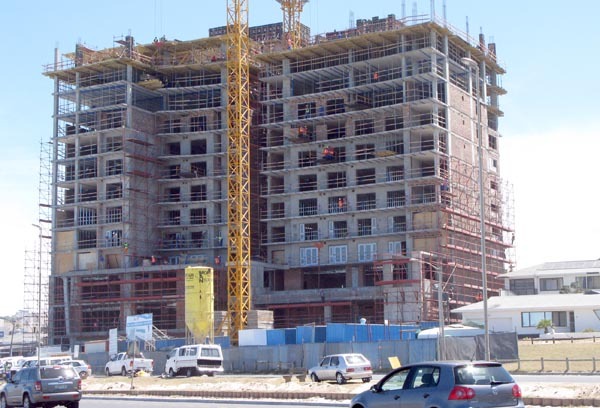 Hopefully they don’t allow them to build any higher. A new structure built high above the bay. The next shot gives you an idea of the view they have. I don't know about you but I would find it difficult to leave and go to work. 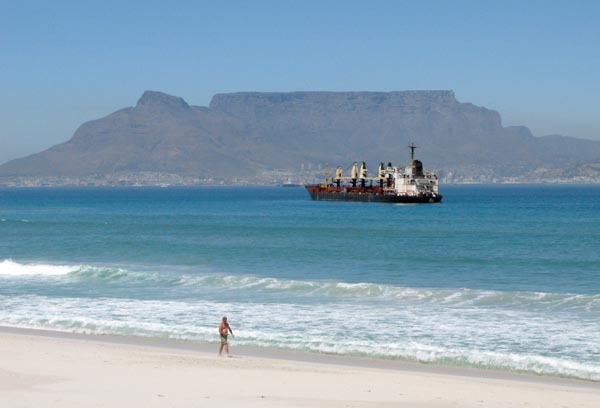 Gordon’s Bay, as is the Strand, is only ten minutes away from the Helderberg Wine Route and brewery and a 15 minute drive over the Spectacular Sir Lowry’s pass takes you to the fruit route at Elgin and Grabouw. 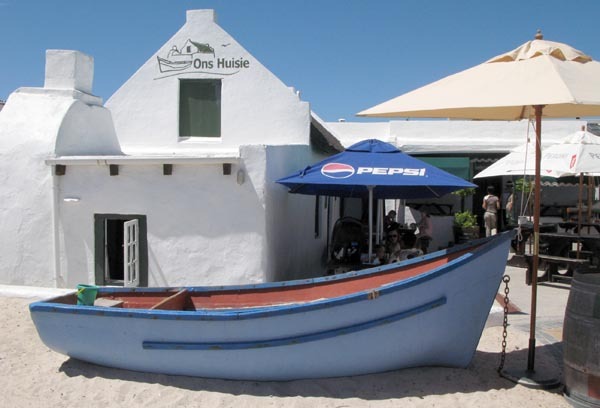 The village is on the scenic coastal route to Hermanus and the whale route. 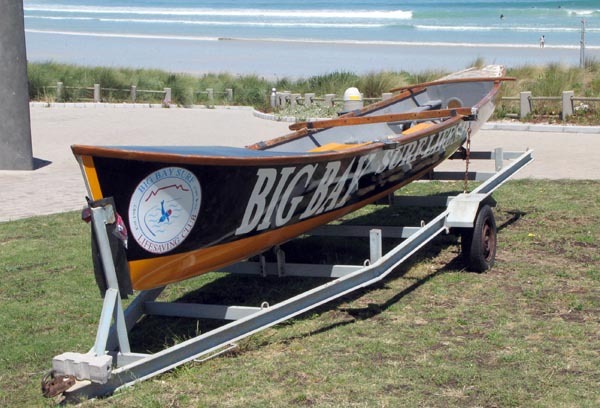 During September and October whales can be seen in False Bay. 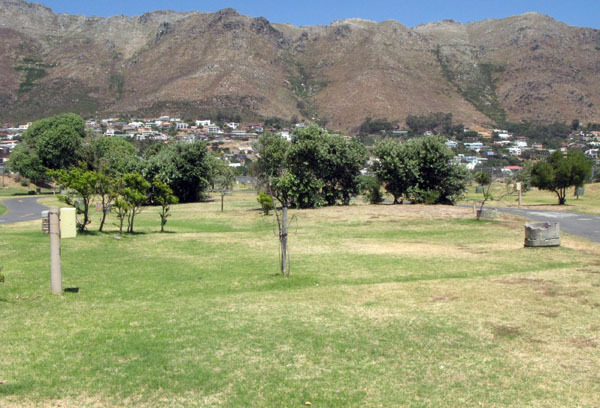 For the more active there is a walk above the village on the Danie Miller trail and you can explore the historic cannon and Foogon wheel walk at Sir Lowry’s Pass or have a dip in the Crystal Pools in the Steenbras Valley. 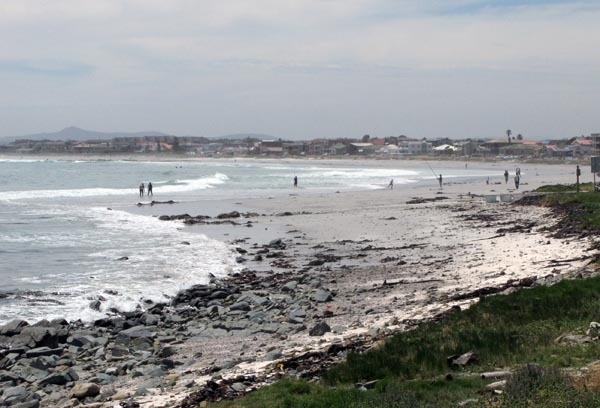 Well here I am at the start of the second part of my travel adventure to try and cover the coastline of South Africa from Alexander Bay, on the West coast, all the way to Kosibay on the East Coast in my little old Sprite caravan. 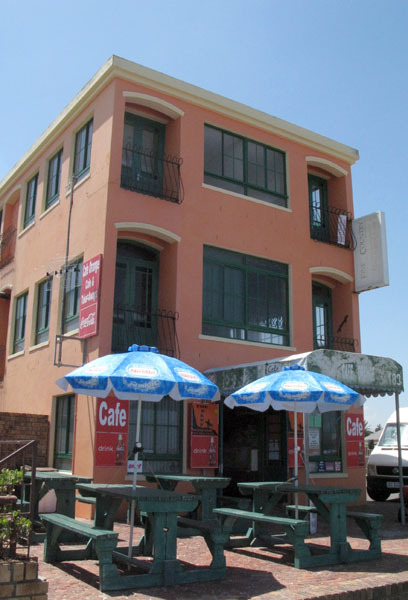 So far I have completed the journey all the way down the west coast to as far as Tableview and am now heading up what I will call the Western Cape South Coast and starting off again at the Strand. 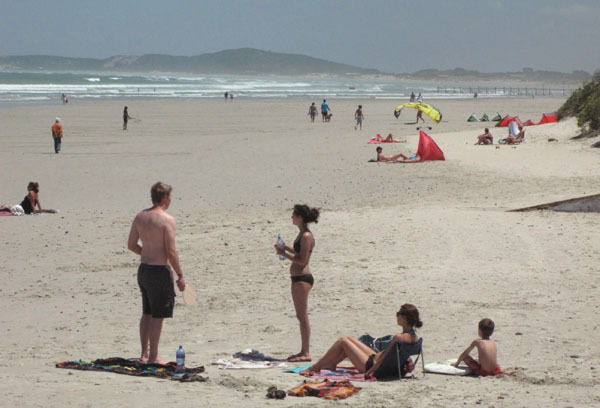 The Strand (the beach) , also known as the Gem of False Bay, with it’s endless white beaches, is situated about 50km’s east of Cape Town at the foot of the Hottentots Holland Mountains and along with Somerset West and Gordon’s Bay forms part of the picturesque Helderberg Basin. 5 km’s of safe bathing in the warm Indian Ocean. 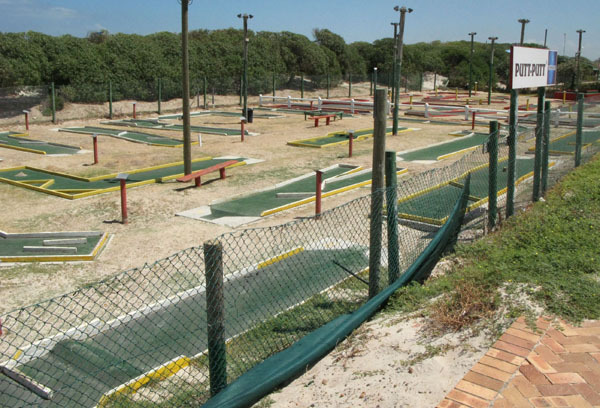 The beach front promenade is lined with restaurants, pubs and coffee shops as well as entertainment areas, such as Dune Park, with putt-putt (mini golf), water-slides, tidal pool and a heated Olympic size swimming pool. 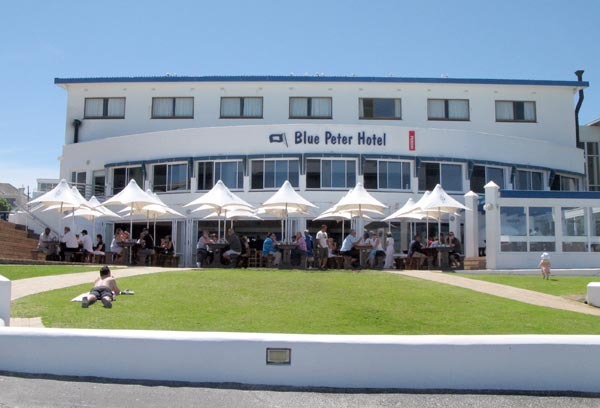 One of the many beach road cafes. 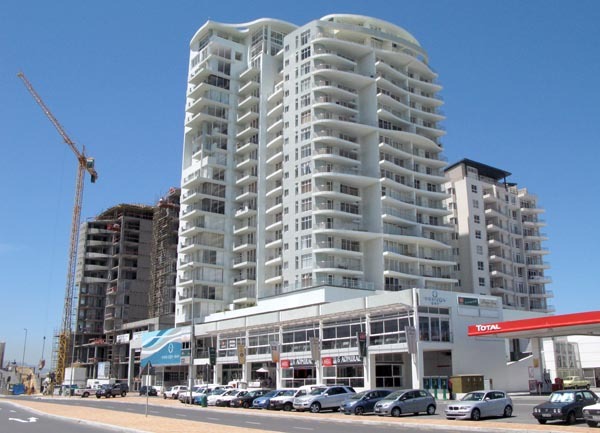 The beach road goes on for km’s and has some pretty impressive buildings along the way. 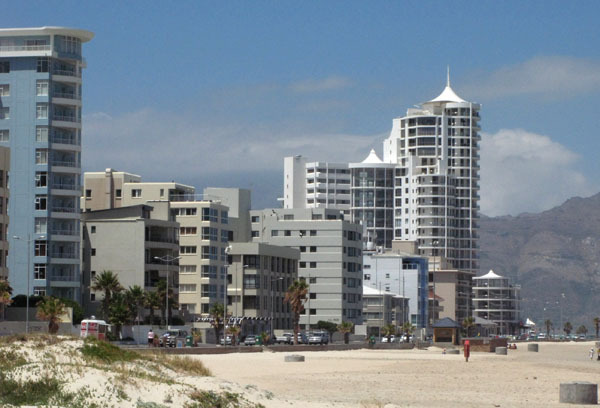 Modern buildings lining the beach road. This one reminds me of a design I have seen from somewhere overseas? 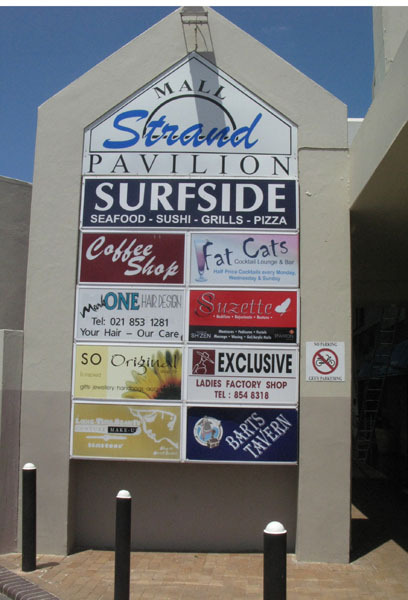 The Strand is basically split into two parts – The beach-front area and 2 or 3 streets back, away from the beach, is a small business section and many of the older housing properties – but most of the action takes place along the beach front. 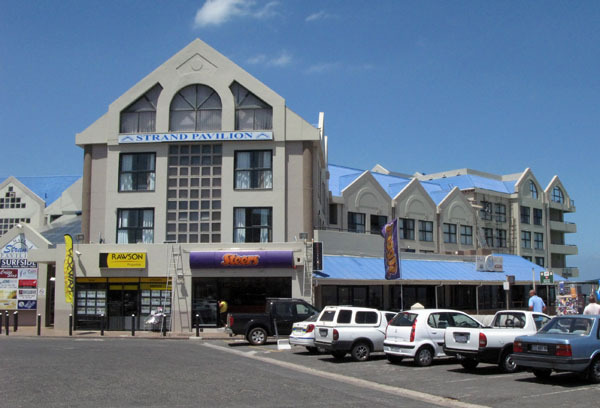 Some of the shops housed in the pavilion. 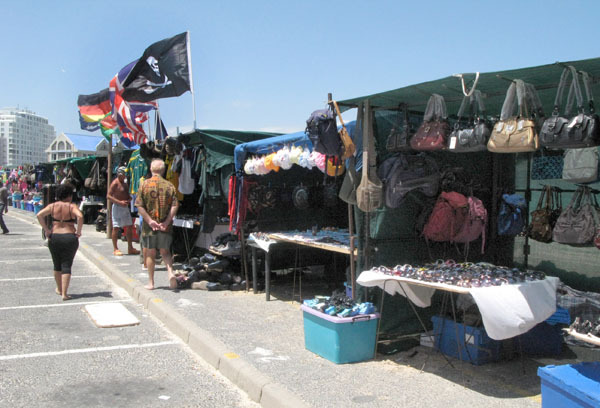 Next to the Pavilion there are many trading stalls which are open 7 days a week. 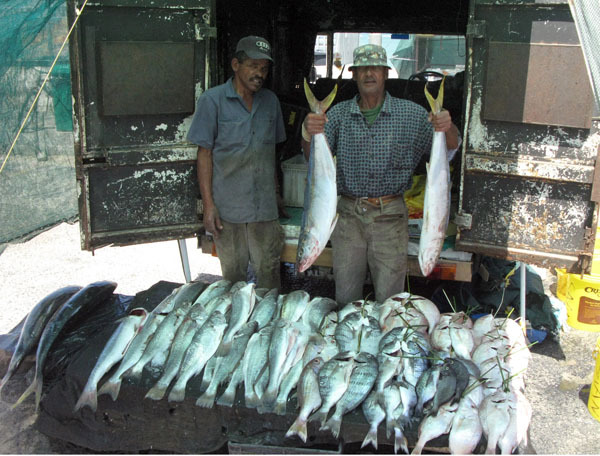 You can even buy fish for your supper there. 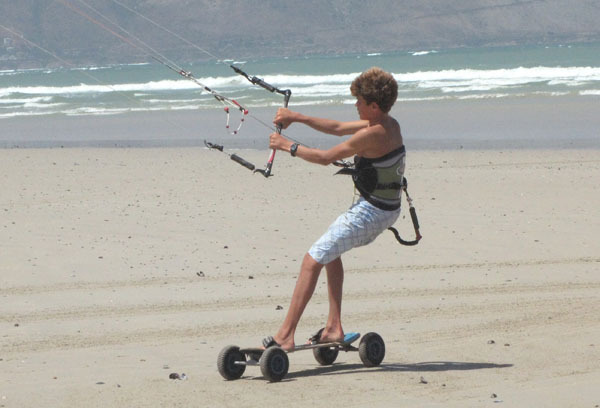 For the sporting enthusiast Strand offers a wide variety of organised sport such as golf, tennis, bowls, rugby and squash and on the water-sport side there is surfing, sailing, powerboating, paddleskiing, boardsailing and of course fishing and diving. 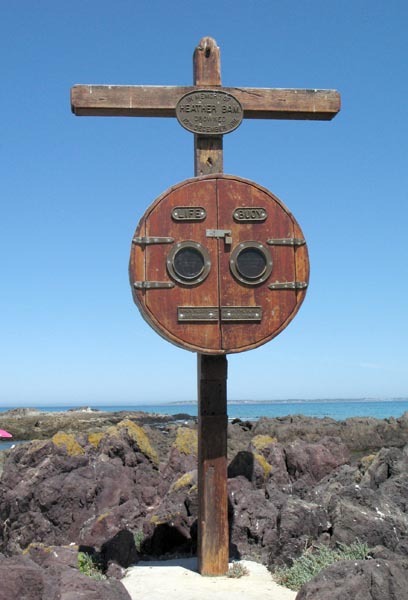 It is close to the wine route and there are many interesting places nearby to be explored. 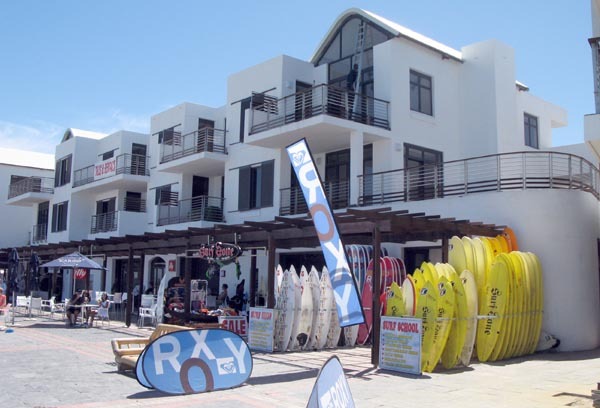 All in all I enjoyed the 5 days I spent here and in Gordon’s Bay but I can tell you that over a hot summer weekend the place really gets packed out with beach lovers and holiday makers so that even 5 km’s of beach doesn’t feel like quite enough.